The Swiss National Bank shocked financial markets today by scrapping a three-year-old cap on the franc, sending the safe-haven currency soaring against the euro and stocks plunging amid fears for the export-reliant Swiss economy. Only days ago, SNB officials had described the 1.20 francs per euro cap as the cornerstone of the bank's monetary policy. The cap was introduced in 2011 at the height of the euro zone crisis to prevent the strong currency leading to deflation and a recession. The U-turn sent the franc nearly 30% higher against euro in chaotic early trading. It later leveled of at around 15% higher, with one euro buying just above 1.20 CHF. It came a week before the European Central Bank is expected to unveil a massive bond-buying programme that might have forced the SNB to intervene repeatedly to defend the cap. After taking the rate into negative territory last month for the first time since the 1970s, it cut another 0.5 percentage points today to -0.75%, a move Jordan said would help ease upward pressure on the franc over time. With more than 40% of Swiss exports going to the euro zone, a strong franc is a nightmare for leading exporters. Swiss shares tumbled over 10%, putting them on track for their biggest one-day fall in at least 25 years and wiping about 100 billion Swiss francs off the main index. Investors have been sweeping up the Swiss currency as the ECB considers printing money to buy bonds, or quantitative easing. Europe's showdown with Russia over Ukraine has also put pressure on the euro and made the franc more attractive. Shares in Switzerland's two big banks UBS and Credit Suisse slumped as much as 15% today after a massive strengthening in the Swiss franc raised the threat that reported earnings will be hit hard. The Swiss National Bank shocked financial markets by scrapping a three-year-old cap on the franc, sending it soaring nearly 30% against the euro. 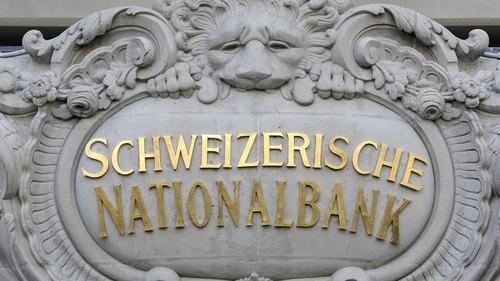 The SNB also cut interest rates, which were already negative, to -0.75%. Analysts said that both factors could dent profits at the banks. Swiss banks derive much of their earnings overseas, which translates into lower reported earnings in francs, and have a greater share of costs in francs. A 10% appreciation in the Swiss franc against the US dollar would have knocked 277 million francs ($271m) off Credit Suisse's pretax income in the first nine months of last year and a 10% appreciation against the euro would have hit it by 180 million Swiss francs, the bank said in its third-quarter results. About 19% of Credit Suisse's revenue and 27% of its costs were in Swiss francs last year. About 69% of revenue was in US dollars and euros, compared with 52% of expenses. Next year only 20% of Credit Suisse's earnings, 25% of UBS's and 14% of Julius Baer's are expected to be in Swiss francs, analysts at Barclays estimated. Adding in the impact of higher costs - especially in wealth management - UBS could take a 14% earnings hit, Credit Suisse 15% and Julius Baer 30%, Barclays said. On the flipside, Swiss banks' capital and leverage ratios should receive a slight lift from the currency moves. The amount of their capital in francs would decrease, but their assets would go down by a greater amount (as they have more assets in overseas currencies), which would improve capital ratios. UBS has said that a 10% appreciation of the Swiss franc against other currencies would improve its common equity capital ratio by 15 basis points. Credit Suisse has said that a 10% appreciation against the US dollar would improve the bank's core capital ratio by 10 basis points and its Swiss leverage ratio by 3.2 basis points.